Only have a microwave? No problem. Embrace the season of fall with these recipes. You know that feeling when you just want to be wrapped up in a blanket and don’t want to face the outside world? Going to school in one of the blizzard-capitals, I sure do. The short elevator ride to the dining hall just seems a little too long. Why not make that tiny microwave good for something and put it to use. Here are some fall fruit and veggie snacks to celebrate the season inside your dorm room. Did you know that you can microwave pumpkin seeds? 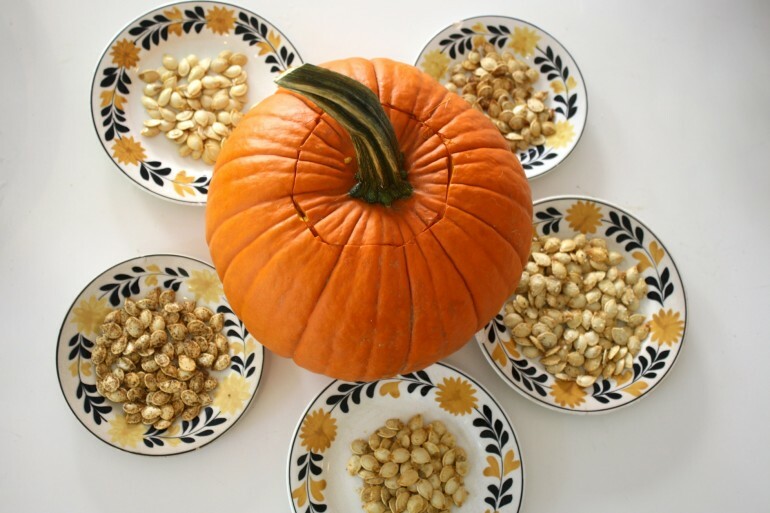 Here are some ideas for flavored pumpkin seeds. This is a great snack to eat while studying for exams. 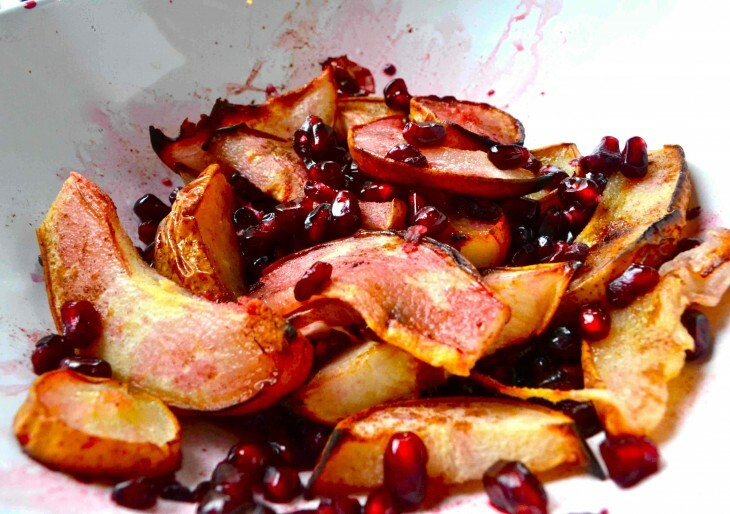 If salads aren’t your thing, here’s a recipe for pomegranate and pear delight. Instead of making the pears in the oven, you can make baked pears in the microwave. Cover the dish of sliced pears and microwave for 4 – 6½ minutes. 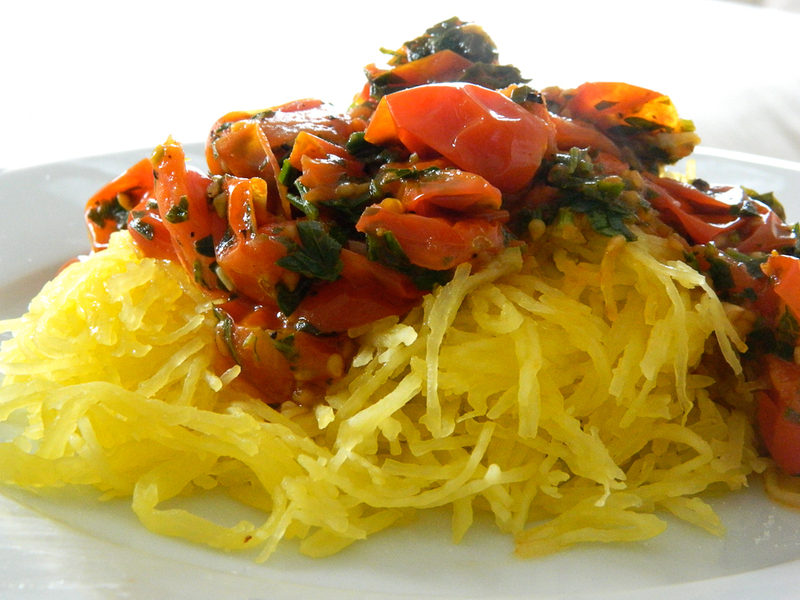 Try making a spaghetti squash dish as a quick and easy dinner option. First, cut the squash in half lengthwise and scoop out the seeds. Then, place the squash in a microwaveable dish with the cut side face-up. Pour a ½ cup of water into the squash where the seeds were. Cook for 10 minutes. Drain water and use a fork to remove strands. Top with cheese and your favorite spaghetti sauce or butter. Get the recipe for cheesy broccoli spaghetti squash boats here. Do you have a sweet tooth, but want a healthier option? Sweet potatoes have loads of fiber and potassium. 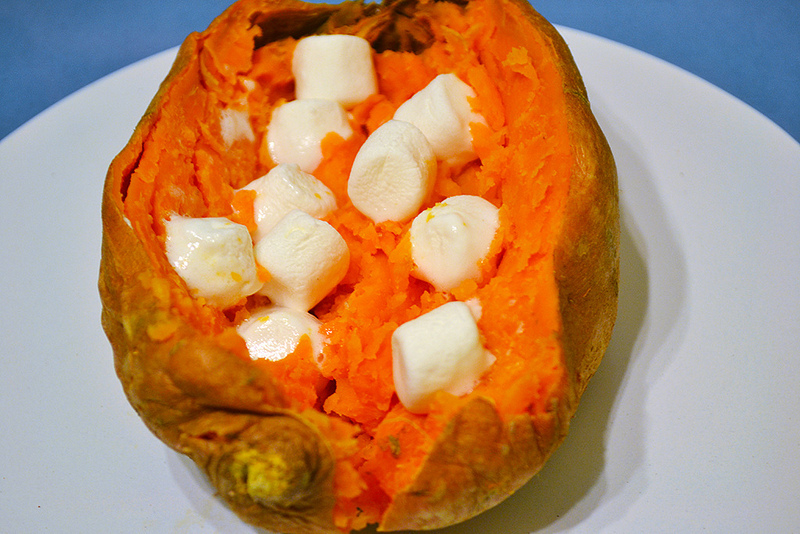 While we all love sweet potatoes loaded with marshmallows, check out some of these simple alternatives, 5 easy ways to eat sweet potato. Enjoy the fact that you do not have to go anywhere!